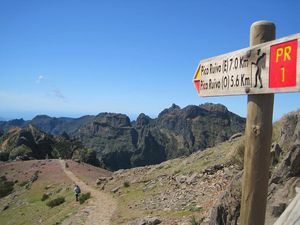 Enjoy long and interesting hikes all around Portugal. 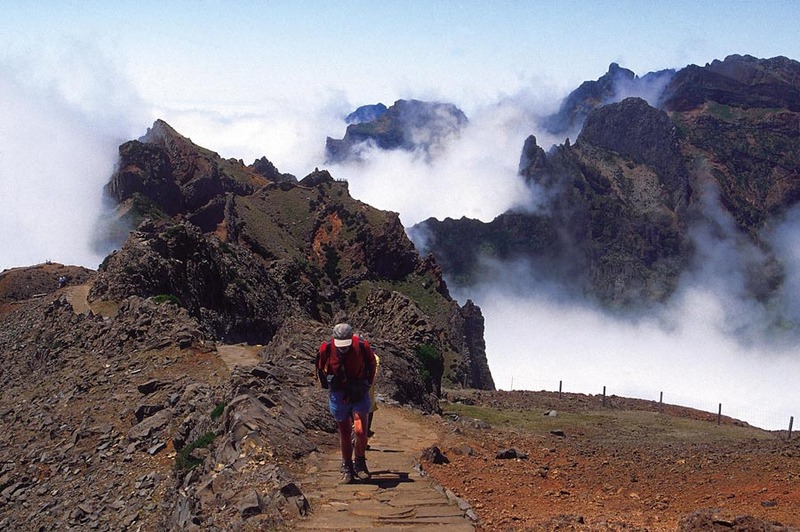 Portugal offers a wide range of hiking trails and itineraries. 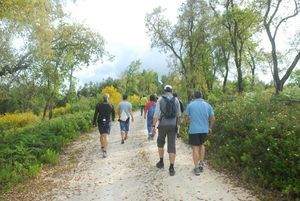 In Algarve, there are many organized routes, since the area does feature numerous signaled paths and hosts gatherings of hikers frequently. There are several in the area of Monchique and Rocha da Pena, although Sagres and Vila Real de Santo Antonio also are good starting points. 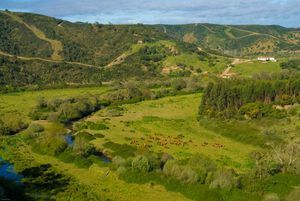 The north of Portugal is more mountainous, and features several natural parks that are rarely-visited hidden gems. 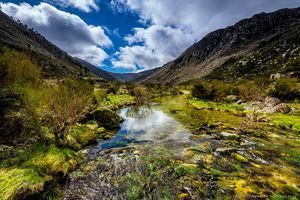 The best known one is the Pendea-Gerês National Park, and offers fantastic itineraries along the mountain-ridden area that go through forests, villages, and archaeological sites. In Beiras, the Parque Natural da Serra da Estrada is a perfect background for hiking. It is also worth noting the stunning Vale do Zêzere Valley. 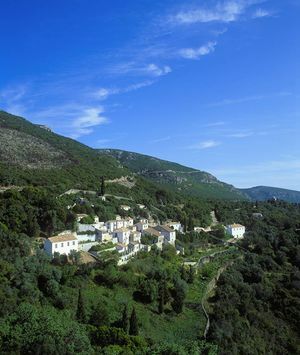 To hike this area, it is advised to use the village of Manteigas as base. 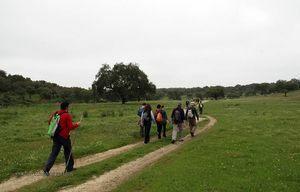 Currently, Las Beiras features a hiking trail GR-22, a route with 540 kilometers across historical villages and mediaeval cities such as Monsanto. The Azores create a perfect paradise for those who love hiking and nature. The archipelago hosts up to thirty officially-recognized routes, half of which in the archipelago of San Miguel. Most of the routes and trails will allow you to relaxingly hike through gorgeous landscapes such as riverbanks, forests, cliffs, fajãs, mountains, etc. However, the most attractive are the ones deepening into the great volcanic formations, descending into some of the four craters, or visiting the unusual fajãs, formed by collapses or flows of lava into the sea. Madeira is also a perfect place for hiking, since it features a great amount of routes, all with great landscapes. 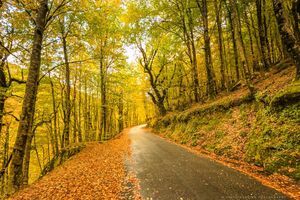 The best time for hiking in Portugal is spring (April and May) or autumn (end of September and October), since summer could become stifling, especially in regions such as Trás-os-Montes, Beira Baixa, Alentejo, and Algarve. It is important to remember that maps and copies of the most important trail itineraries can be obtained in tourists information centres. Serra da Estrela is the ideal setting for hiking. 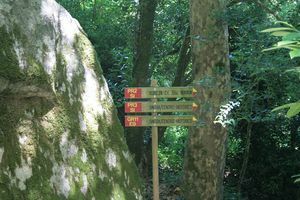 Walking is the best way to get to know Sintra as it will allow you to find beautiful trails, corners and treks. 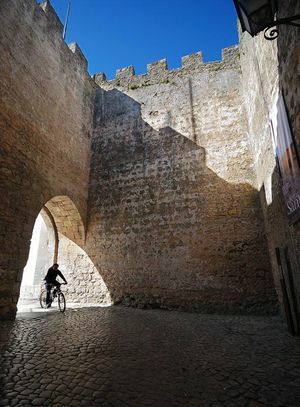 Find the most famous trails in Sintra. Discover where you might walk on your holidays in Mafra. 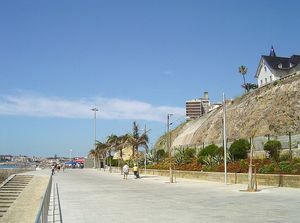 Discover the best trails to walk and unveil Costa do Estoril, Portugal. If you enjoy walking, hiking or trekking discover the best areas to cross on this beautiful destination. Walking is the best way to discover and enjoy all Algarve has to offer you. Get yourself ready to discover the fantastic natural world by going over the trails of the Archipelago of Madeira.